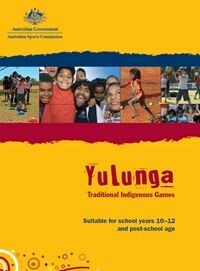 The Indigenous games can be accessed from Yulunga: Traditional Indigenous Games (Edwards and Meston 2009), which is an activity resource of over 100 traditional Indigenous Australian games created to provide an opportunity to experience Aboriginal and Torres Strait Islander cultures. Two games from New South Wales were played: Boogalah and Woggabalirri. However, the link to the full guide is provided and you might prefer to play a game that is local to your area and adapt the following activity. Competition can be very motivating. In fact, sport sciences use a large amount of data and statistics to analyse and improve the performance of athletes. 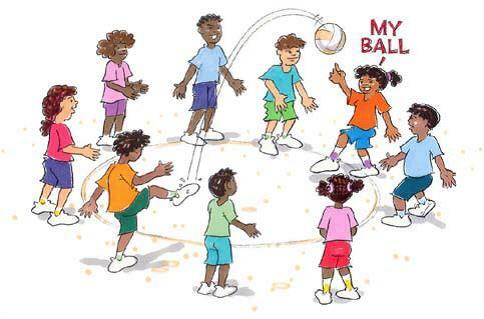 By applying mathematical methods to some simple ball games, we can show how certain things affect performance or that there are many different types of measurement, all of which can be important in different situations. Mathematics allows us to see deeper into the way sports are played and how competition and rules produce outcomes. Points are earned by the team who catches the ball. For the first round, record each team’s score for a set number of throws. After the first round is over, introduce the new rule: if the ball changes possession, the catching team earns two points instead of one. Tally the points and compare the number of changes of possession for each round. Were there any noticeable differences in score, number of changeovers or general competitiveness? Calculate the percentage difference of number of changeovers between the rounds, between each team and in general. Compare the performance of each team individually and comparatively. Is adding extra point value to changeovers a good motivator for performance? Create a frequency graph from this data for how many times the players catch the ball for team 1 and 2. Break into teams of 4-6 players with someone to record the score for each team. Note that the kick count begins on the second touch, i.e. player one kicks the ball to start, player two kicks the ball and then it touches the ground - this would count as one kick. 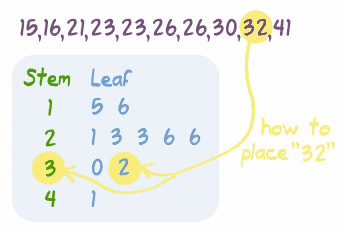 Create a stem and leaf plot (see below) to record the frequencies of each kick count. Which team had the highest number of kicks? Which team had the highest score? For motivation, prizes could be awarded separately to the team with the highest total kicks, the best average, the best mode or the highest kick count. Create a frequency distribution of the aggregated data, overall and/or for each individual team, and point out the different parts of the graph which relate to each metric. As an idea for an experiment, data could be collected periodically and checked to see if there is any improvement in performance for each specific metric. 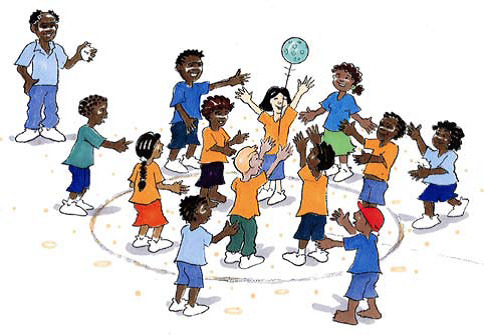 Edwards, K. and Meston, T. (2009) Yulunga: traditional Indigenous games, Australian Sports Commission, Canberra, ACT.